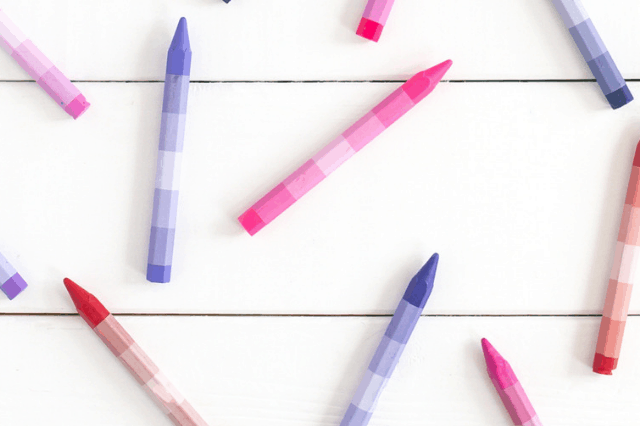 Step 1: First grab a handful of your craft sticks and line them up the length of one stick (pictured below). 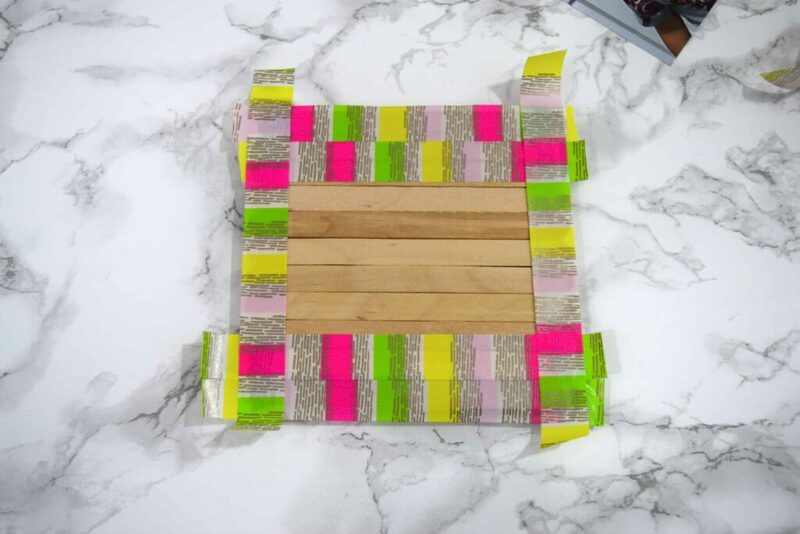 Then add one strip of glue across one stick and add it to the end of one side of sticks. Do the same for the opposite end and the middle. I chose 3 photos so I completed this step 3 times. 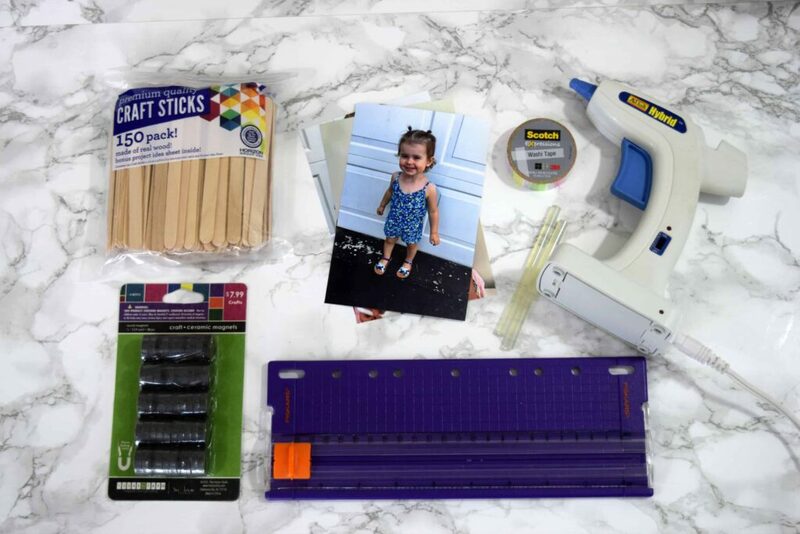 Step 2: Cut your photos to fit the craft sticks as a frame. 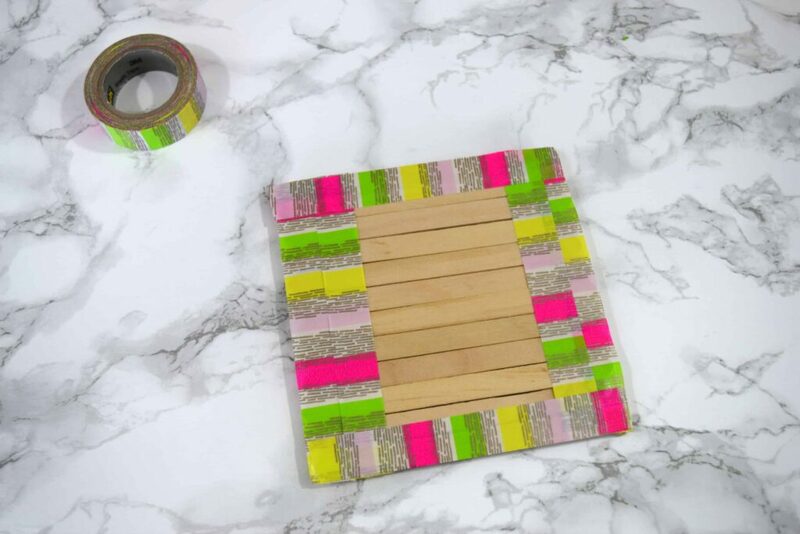 Step 3: With your washi tape, add a creative border to your sticks. 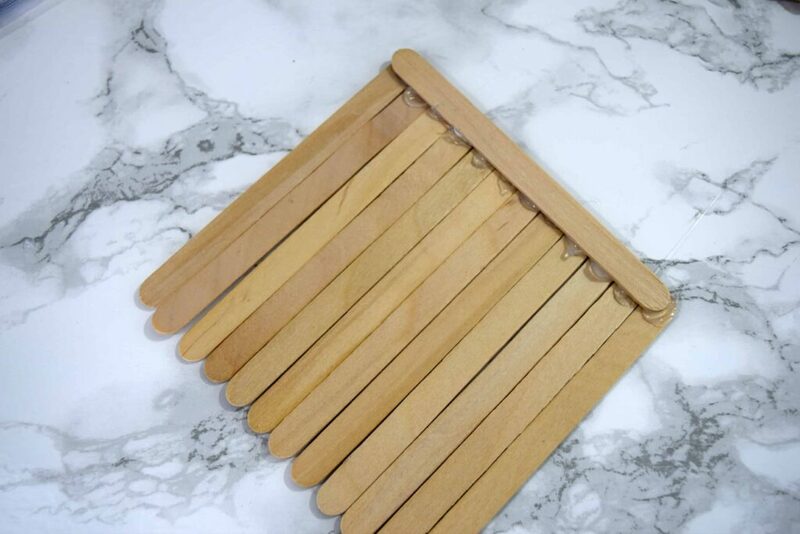 You can either tear off the excess from the edges or use scissors. 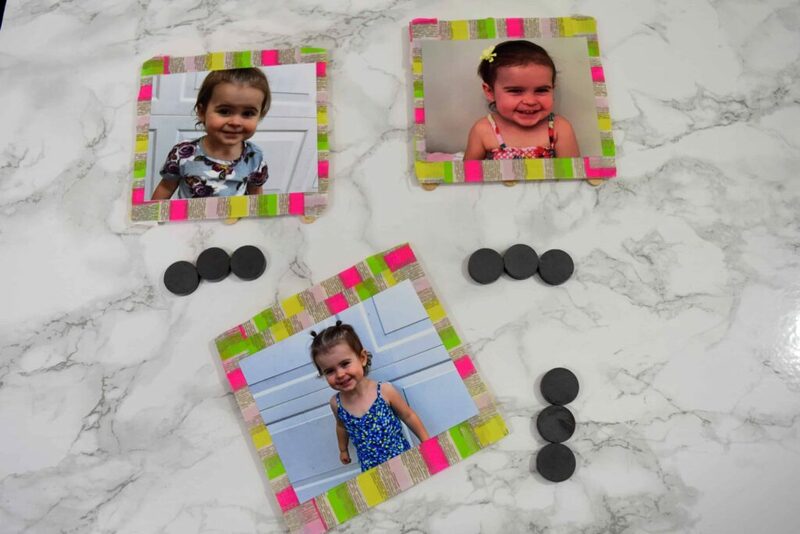 Step 4: Take your tape and loop it into a circle to create a double sided tape and adhere your photo to your sticks. You could leave them this way and they would be fine, even interchangeable perhaps. 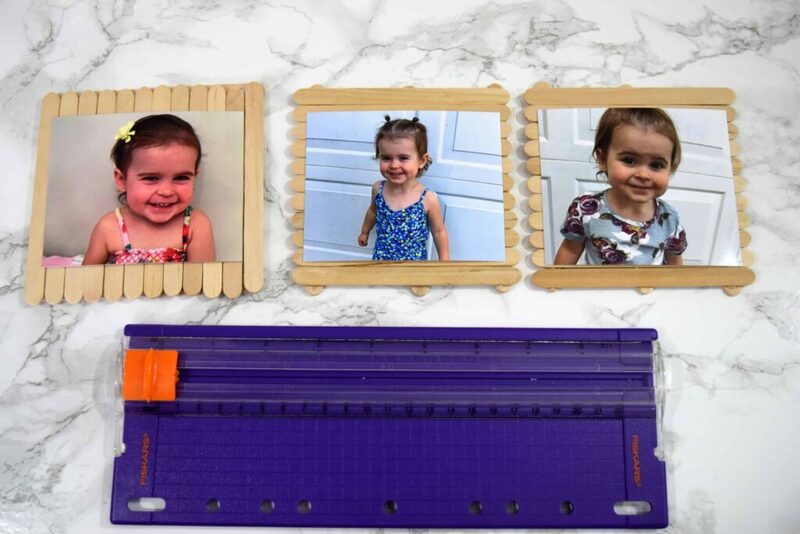 One idea I have for next step that I do is to take the tape and add it over top the edges of the photos to showcase the tape as well. This time however, since I had Mod Podge available I decided to add a quick matte gloss coat to the top. 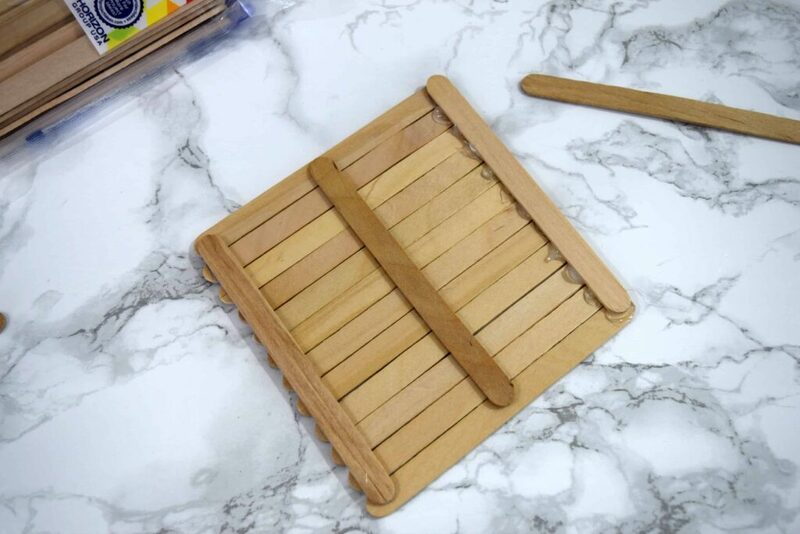 Step 5: Use your hot glue gun to attach the magnets to the back of the sticks. 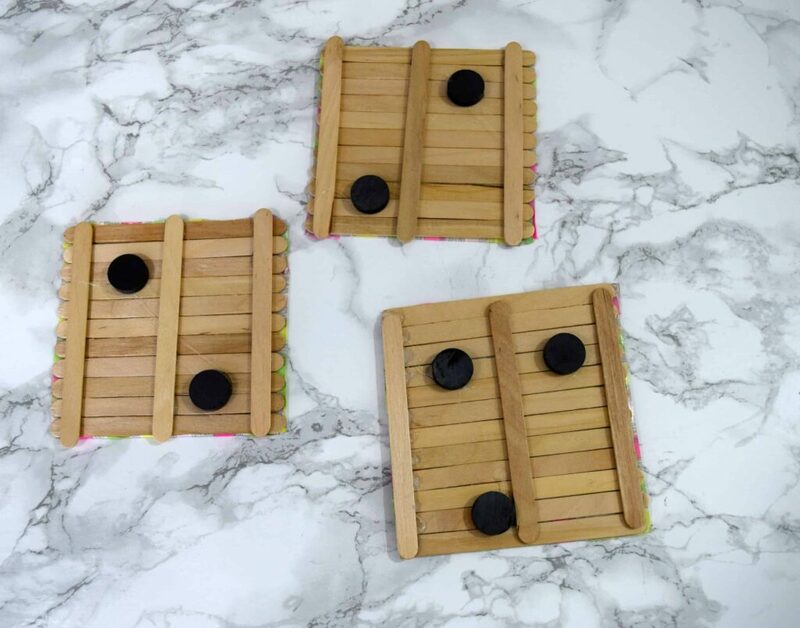 Originally I estimated 3 for each, however after doing one I realized the magnets were pretty strong and it wasn’t needed for 3. I used 2 magnets for the remaining two. Hang on the fridge, you’re done! 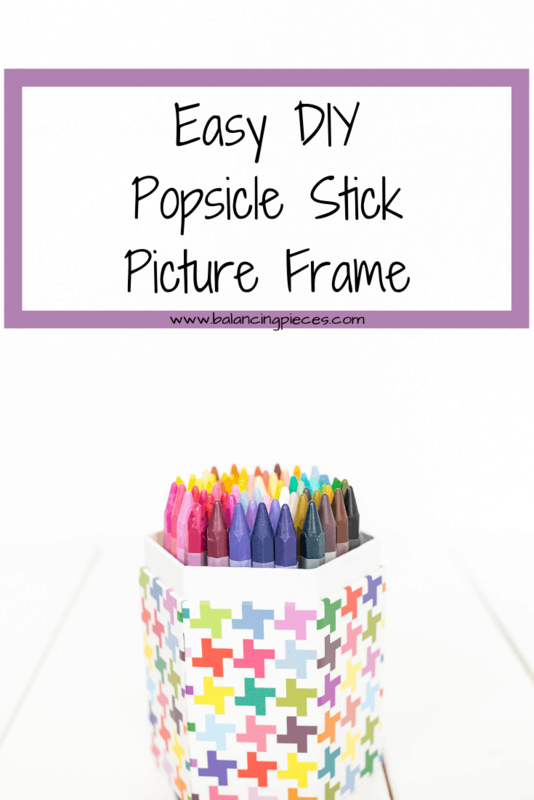 This easy kids craft is so much fun! 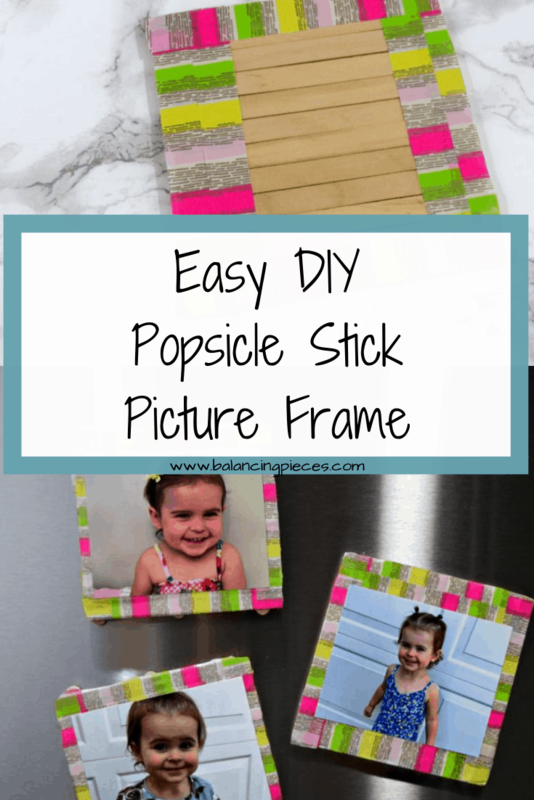 Learn how to make a DIY Popsicle Stick Picture Frame quickly and easily. 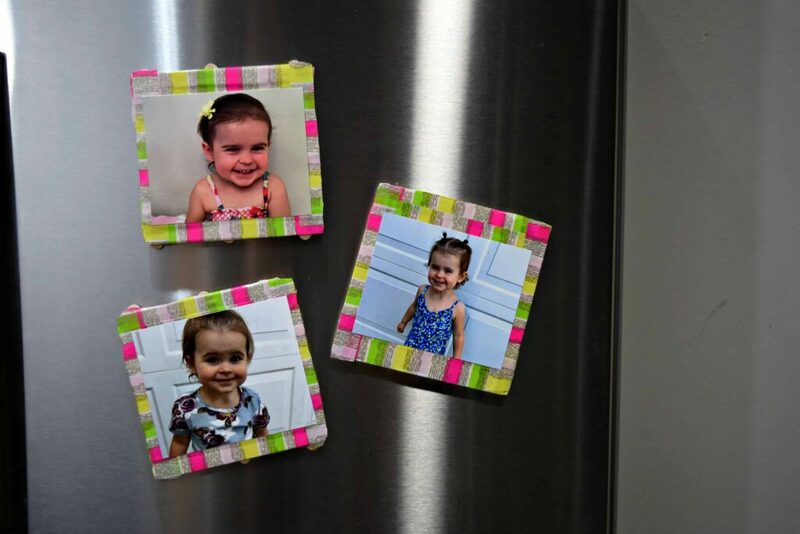 Add magnets to stick it on the fridge!